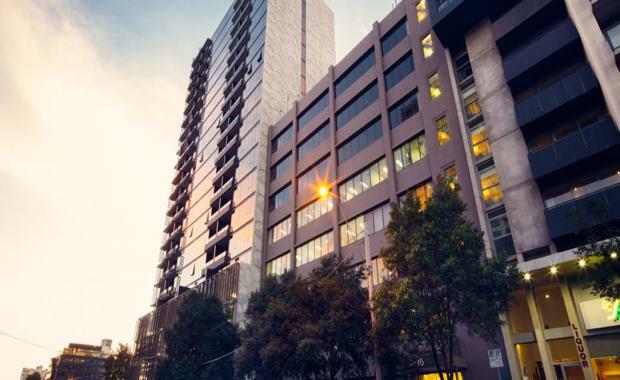 A private offshore investor, with a locally-based fund manager, has acquired a South Melbourne office building for $30.75 million in an off-market deal. Colliers International’s Leigh Melbourne and Rob Joyes have negotiated the sale of 10-16 Dorcas Street in South Melbourne on behalf of Cromwell Property Group. Cromwell purchased the asset as part of a portfolio from Pacific Shopping Centres in 2013. The portfolio also included the Australian Tax Office building at 11-13 Robinson Street in Dandenong and an industrial facility in Melbourne’s west. The Dorcas Street property was 100 per cent leased until November 2019 to one of the world’s largest telecommunications service providers, Dimension Data Australia Pty Ltd, a wholly owned subsidiary of Nippon. The eight-level, 7,608sqm office building, which included a basement and 88 car spaces, was recently refurbished for Dimension Data. Mr Melbourne said 10-16 Dorcas Street was positioned in a prime location only 1.5km from the CBD, opposite the Botanical Gardens and the Shrine of Remembrance. “Not only does the property have outstanding future residential re-development prospects given the zoning and height limit applicable, it will also benefit from strong income growth over the medium term as the St Kilda Road vacancy declines following over 100,000sqm of office stock withdrawal over the next five years,” he said. Mr Joyes said South Melbourne was a highly sought-after precinct, particularly among creative industries such as architectural and design firms and advertising and media agencies. “This investor recognised the future potential to reposition the building at lease expiry and leverage value from current demand from tenants looking for space in the sub-1000sqm market, which is very hot at the moment,” he said.